Four terrorists of Pakistan-based terror outfit Lashkar-e-Taiba were gunned down by security personnel on Monday in an encounter in Lassipora area of Jammu and Kashmir's Pulwama district. In a gunfight with the terrorists, 3 security personnel were injured. "Four terrorists have been eliminated in Pulwama operation," Srinagar-based defence spokesman Col Rajesh Kalia said. 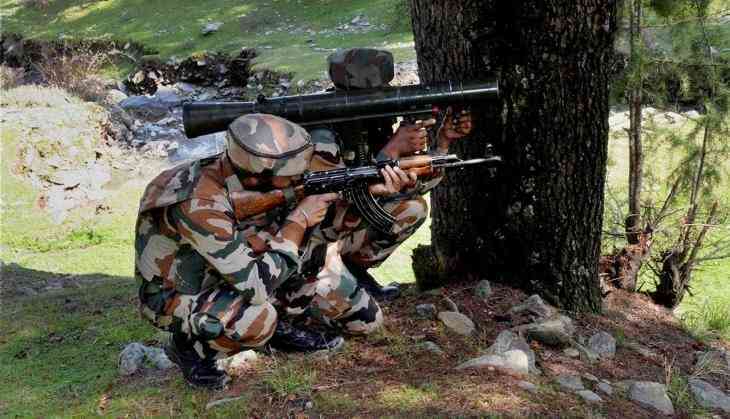 On Monday morning, security personnel launched a search operation in Lassipora area after they received a tip-off about the presence of terrorists. The terrorists fired at the security personnel during the search operation, triggering a gunfight. In the search operation cache of weapons, including two AK rifles and one Self-Loading Rifle, was recovered from terrorists' possession. The search and sanitization operation is still on in the area. The identities of slain terrorists are yet to be ascertained.